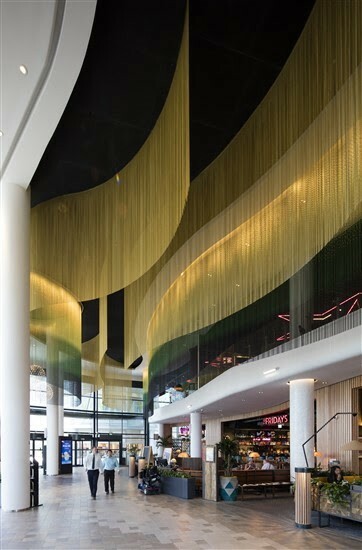 The Australian designer Michelle Taylor (MTRDC) has developed an amazing space at Southampton’s Westquay Watermark loungeroom by stablishing a connection between the coastline that once lapped at the shores of the current situation of the commercial center. This is how the architect honours the historic city shoreline. 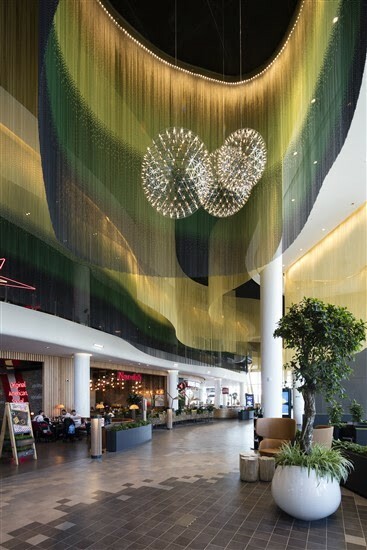 This theme is translated into the inside of the Westquay by suspending dramatic waves of veils made with Kriskadecor' links to evoke the feeling of water. These small anodized aluminium links are perfect to enable the design of layered elements to provide colour, texture, movement and create the desired drama effect. 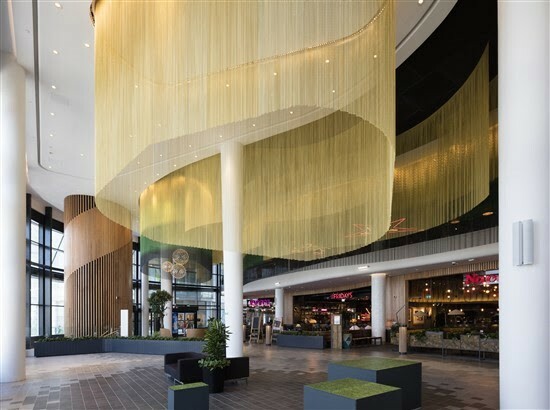 For this installation kriska type links were used in 4 assorted colours: gold, green, lime and black to recreate the effect of rippling water pools’ natural contours that required more than 800 square metres of kriskadecor' chains. Also, rails were given the required curved shapes to create this fluent and harmonious structure.